A Hawaii cruise is an increasingly popular way to take in Hawaii's dramatic landscapes, great weather and varied activities, sights and lifestyles. Cruise travelers can choose from weeklong round trip Honolulu cruises on Norwegian Cruise Line; longer cruises sailing round trip from the U.S. West Coast; and less-common, one-way sailings on ships heading to or from the South Pacific, Australia or Asia. There's another important choice to make, and that's when to go. The good news is that no time of year is bad to take a Hawaiian cruise. Nevertheless, there are differences in weather, cruise availability, price and other factors from season to season. Here's what you need to know about which months are best to cruise Hawaii. Weather: Hawaii's wet season lasts from November until March, with 3 to 4 inches of rain per month. To keep things in perspective, that's roughly the same as Boston or New York City in March -- but unlike the Northeast, the daytime highs during Hawaii's winter are in the mid-70s. Showers throughout all of Hawaii tend to be brief (or come down overnight). A day-ruining soaker is rare any time of the year, but during the wet season, be prepared for sudden rain showers. Cruises Available: Norwegian Cruise Line's Pride of America, a U.S.-flagged ship with an entirely American crew, is the only mainstream cruise ship to sail a seven-day, interisland itinerary round trip from Honolulu. It sails year-round. Boutique yacht line Un-Cruise Adventures takes 36 passengers on up-close and adventurous sailings between Molokai and the Big Island, but its Hawaii-only sailing are limited to December, January, February and March. 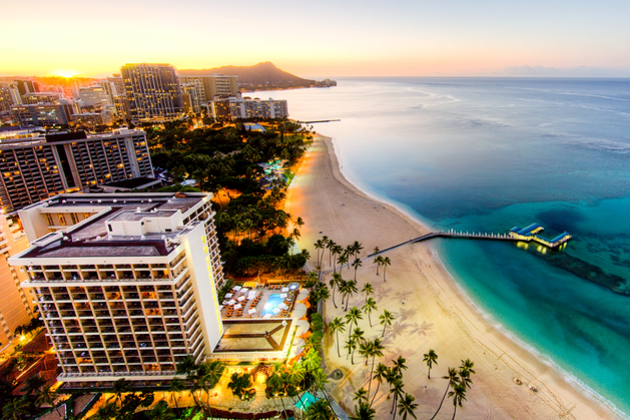 Princess is the only line offering a full season of round trip voyages to Hawaii from Los Angeles and San Francisco. Cruises sail from the winter holidays through March, and most are 15 nights. 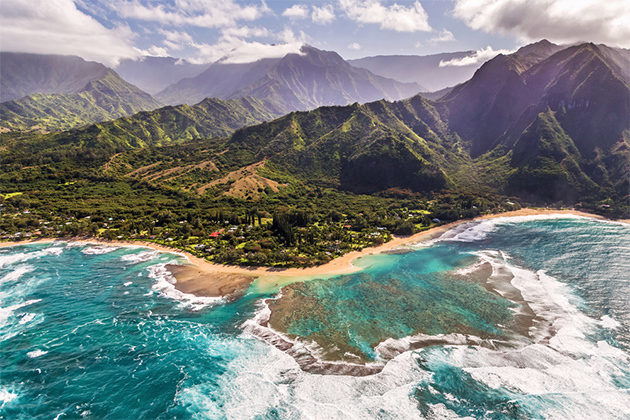 In February and March, Holland America offers Hawaii cruises round trip from Vancouver, B.C., Los Angeles and San Diego, as well as a few one-off repositioning cruises. 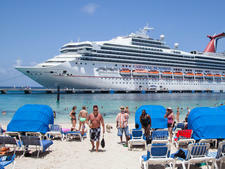 Carnival also offers a couple of 14-night cruises round trip from Long Beach. Affordability: Cruises from mid-December through March are pricier and more crowded, owing to the combination of cold and snowy weather throughout much of the U.S. and peak travel periods such as winter holidays and school breaks. Sea Conditions: Due to storms in the Northern Hemisphere in the winter, big waves hit the north shores of all islands from November through March -- especially in December and January, and particularly on Oahu's North Shore, where waves can top 40 feet. That strong surf can even wrap around an island, affecting eastern and western beaches to some extent. While experienced surfers relish those conditions, novice surfers and swimmers will find north shore beaches too rough for swimming. High waves and rough seas can also impact scenic boat rides, such as cruises along the Napali Coast; charter companies will only schedule tours in the morning and do not guarantee that any boats will go out at all. Also, while the beaches may look just like those in the Caribbean, the water is noticeably cooler in Hawaii during the winter months. Special Events: During the winter months, humpback whales, which migrate from Alaska, can be seen on just about any cruise route. They put on their biggest show in the waters around Maui. While that's great news for travelers who want to go on whale watching boat trips, cruisers interested in parasailing should note that parasailing is not permitted around Maui from mid-December through mid-May, in deference to the whales. With the Hawaiian Islands drawing large numbers of Asian visitors, some holiday periods in Asia can bring additional vacationers. One example is Chinese New Year, which can fall anywhere between January 21 and February 20, depending on the year. Annually in early- to mid-March, the three-day Honolulu Festival shows off Asia, Pacific and Hawaiian cultures, drawing huge crowds. Weather: Spring is the first part of the dry season, with temperatures ranging from mid-70s at night to the mid-80s during the day. 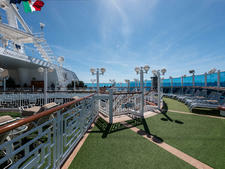 Cruises Available: Norwegian Cruise Line's Pride of America continues its year-round, round trip Honolulu cruises. Princess also carries on with its 15-night round trip cruises from San Francisco, Los Angeles and Vancouver through April. During that month, Holland America also offers Hawaii cruises round trip from Vancouver, Los Angeles and San Diego, plus a one-way sailing between Seattle and Vancouver. Carnival offers both a round trip and a repositioning cruise to Hawaii in April. Celebrity sails repo cruises to Vancouver that start in Honolulu in April and May, while Royal Caribbean offers repositioning cruises from the islands to British Columbia in early May. Affordability: This is one of two shoulder season when fares drop. In addition to being able to save a little money cruising in spring, the weather is great, with the rainier season past. Sea Conditions: April and May cruises can be good choices for eager newbie surfers, as consistent summer weather starts to settle in, wave heights are better for beginners and water temperatures rise a bit. The spring months are also ideal for snorkelers. Starting in May, skies are generally blue (cloudy skies and rain can reduce your visibility underwater) and waves are smaller, making swimming easier. Special Events: Through mid-May, humpback whales are in abundance, especially around Maui, and parasailing is prohibited. Buddha's Birthday, a big holiday and vacation period for the many Asian visitors to Hawaii, falls in April or May, though in leap years it could be in June. Expect additional fellow tourists during that time. Local events include Mele Mei, an annual celebration of Hawaii's music, hula and culture. The festival consists of events held from April through June at various hotels, venues and on the beach, statewide. 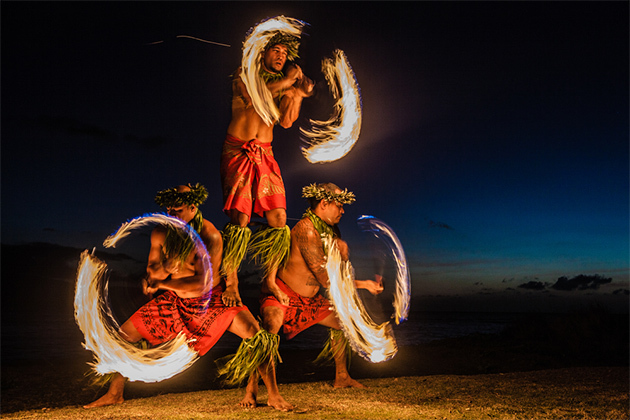 Every May, the World Fireknife Championships take place at the Polynesian Cultural Center on Oahu. The annual, two-day Pacific Aviation Museum Pearl Harbor's popular Biggest Little Airshow in Hawaii happens in early June on Oahu. Also in early or mid-June, thousands of participants march down Kalakaua Avenue in Waikiki as part of the annual three-day Pan Pacific Festival. Weather: Temperatures are an idyllic mid-70s at night and mid-80s, give or take, during the day. The summer months are the driest part of the dry season. 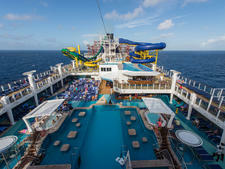 Cruises Available: Norwegian Cruise Line is the only major line sailing in the summer, with Pride of America. Affordability: The second half of June, July and most of August see crowds onboard and on the islands -- along with higher prices, due to schools being out on the mainland and the lack of rain. Sea Conditions: During June, July and August, choppy seas and drizzly days are generally non-issues for snorkelers. 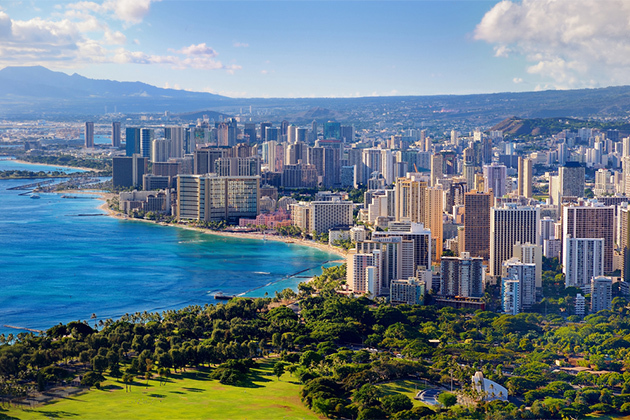 However, during the summer months, the surf is higher in the Waikiki Marine Life Conservation District at the Diamond Head end of Waikiki Beach in Oahu, a popular snorkeling spot. That means reduced visibility. In summer, the ocean temperatures in Hawaii rise to 80 -- maybe even 82 by the end of August. This makes this time period ideal for travelers who want to swim or snorkel, but don't want to brave Hawaii's winter water temps in the 70s. While seasoned boarders prefer the challenging surf of the winter months, cruisers who want to learn to surf will want to sail between May and September when seas are calm. Special Events: Depending on the year, the annual three-day Pan Pacific Festival in Waikiki can take place in either early or mid-June. The long-standing annual (free) Ukulele Festival Hawaii attracts thousands to Oahu in mid-July. Weather: The dry season is still in play through October, with temperatures ranging from mid-70s at night to the mid-80s during the day. As you get into November and early December, temperatures will drop to the high 60s at night and low 80s during the day. The islands start to see a slight increase in rainfall around this time, as well. 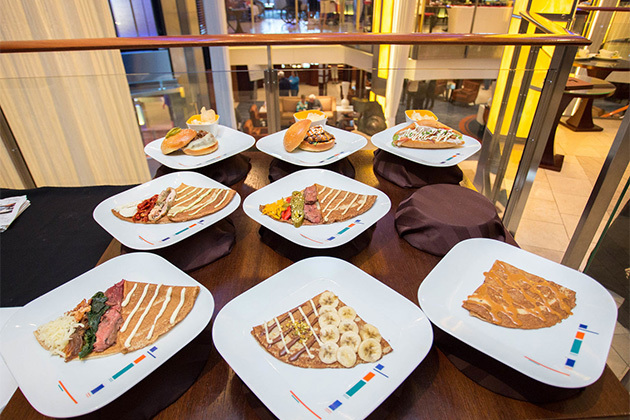 Cruises Available: Norwegian Cruise Line's Pride of America continues its round trip Honolulu sailings through the fall and winter. Boutique yacht line Un-Cruise Adventures restarts its interisland cruises in November and December. Princess begins its 15-night winter sailings round trip from San Francisco, Vancouver and Los Angeles in October and carries on into November, with round trip Los Angeles cruises in December as well. In September, October, November and December, Holland America offers Hawaii cruises round trip from Vancouver, Los Angeles and San Diego, as well as one-ways between Seattle and Vancouver. The line also sails to Hawaii from San Diego as part of an itinerary combined with French Polynesia in October. 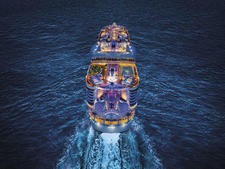 Royal Caribbean offers repositioning cruises to the islands from British Columbia in September. Sister line Celebrity runs repo cruises starting from Vancouver and ending in Honolulu in September and early October. Carnival offers a few one-way and round trip Hawaii cruises out of Vancouver and Long Beach in September, October and early December. Affordability: The other shoulder season (read: bargain season) for Hawaiian cruises is from Labor Day through early December. Not only can you get a great deal on a cruise now, but crowds are thinner and the rainier season hasn't really set in yet. Sea Conditions: This season is a mixed bag. Wave action can vary dramatically depending on where exactly you are and when. September and October typically bring sea conditions more in tune with the summer months. In late November and early December, locations throughout the islands will experience big ocean swells. Early to mid-November can go either way. Ask a lifeguard about the advisability of swimming if you have any doubt, and look for warning flags or signs about beach conditions before jumping in. Special Events: The Aloha Festivals throughout the month of September are a statewide celebration of Hawaiian music, dance and history, with especially well-attended events throughout Oahu that draw more than 100,000 celebrants. The annual Hawaiian Slack Key Guitar Festival takes place in Oahu in October. The Hawaii International Film Festival takes place on Oahu in early November and Kauai and the Big Island in mid-November each year. The Vans Triple Crown of Surfing returns to the North Shore of Oahu each year from late November through early December. These hugely popular competitions decide the World Surf League's latest world champion. It may not be on your radar when you book your cruise, but December 7 is Pearl Harbor Day, a holiday that sees many more crowds out on Oahu than usual for the commemoration of the infamous World War II attack. Also that month, thousands of runners from around the world descend on Oahu every second Sunday of December for the Honolulu Marathon.